Besides our outdoor Farmers’ Market, we are the state of Kentucky’s first Indoor Farmers’ Market! Open 12 months a year, generally from 11:00 am - 6:00 pm on weekdays and from 9:00 am - 12 Noon on Saturdays. We’re more than just a vegetable stand! Inside our market, you’ll find plenty of fresh, local, seasonal foods and artisan crafts. 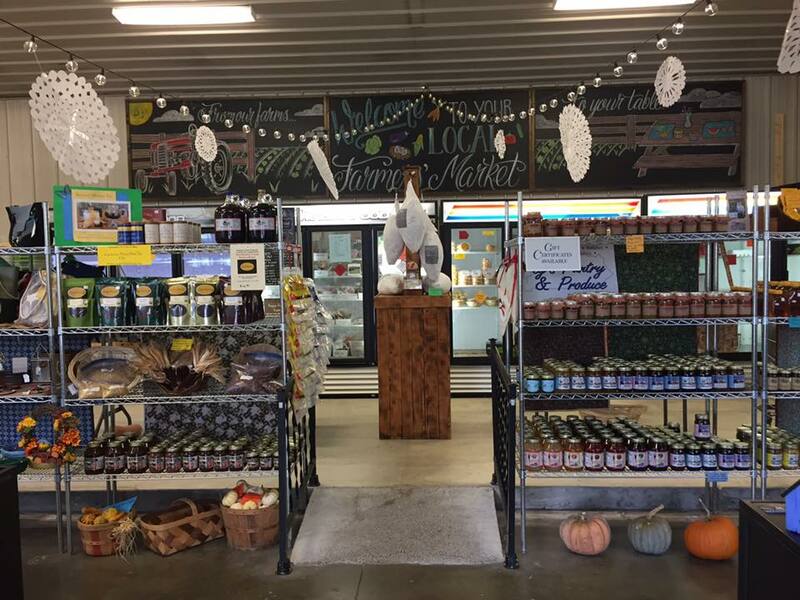 You’ll find in-season produce, jams, jellies, salsa, dried fruits, fresh baked goods, candies, and local favorites like jerky, Ale-8 soft drinks, Ruth Hunt bourbon balls and candies, frozen local meats - beef, lamb, pork, country ham, turkey and chicken. For our customers with young shoppers, we have a children’s play area where they can ‘cook’ on the kitchen set, gather their colorful, soft fruit and put it in their own grocery cart, drive some trucks and tractors, doodle on the chalk board and generally enjoy themselves while you are shopping. We are proud to offer you our two newly renovated public restrooms (complete with baby changing station! ), coffee on Saturday mornings and a warm welcome when you enter!